The briquetting properties of different types of raw materials vary widely. The type of raw material not only affects the briquette quality, such as the density, strength, and calorific value, but also affects the output and power consumption of the briquetting machine. Among a large number of agricultural and forestry wastes, some plants are easy to be compressed and briquetted after being crushed, and some are more difficult. Wood waste is generally harder to briquette and less deformed under pressure; fibrous plant straws and bark are easily briquetted and deformed under pressure. When briquetting is running without heating, the material which is difficult to compress is not easy to briquette, but under heating conditions, take the screw bio briquettes machine as an example, wood waste is difficult to compress, but due to its high lignin content, it softens at high temperatures and makes the material bonding together easily. Plant stalks and bark have weak bonding ability, so they are not easy to briquette. The moisture content of the raw material is an important parameter that needs to be controlled during the biomass briquetting process. The proper moisture content of the biomass material can optimize the briquetting effect. A moisture too high or too low is not conducive to briquetting. When the moisture content of the raw material is too high, the steam generated during the heating process cannot be smoothly discharged from the fuel center hole, causing surface cracking, and in severe cases, it may be accompanied by popping. However, if the moisture content is too low, briquetting is difficult because trace moisture can promote the softening and plasticization of lignin. Excessive moisture content in hot press forming will affect heat transfer and increase the friction between the material and the mold. At high temperatures, due to a large amount of steam, gas blockage or shotping will occur; too low water content will affect the softening point of lignin. The internal friction and compressive strength of the raw materials increase, resulting in too much compression energy consumption. When the pressure is constant and the moisture content is within the required range, the compression density can reach a maximum as the moisture content increases. When the relaxation density is constant, as the water content increases, the required pressure becomes larger, and the maximum pressure value corresponds to the upper limit of the moisture content. The relaxation density of the compact decreases exponentially with the increase of moisture content. The lignin content of different raw materials is different, but the suitable moisture content required for briquetting is basically the same. From the current domestic and international literature, there is still a big difference in the range of moisture content determined by the study. This is because the compression method, the briquetting mold, the briquetting method, and the process of the biomass raw material have great differences. The size of the raw material particle size is also an important factor affecting briquetting. For a certain briquetting method, the particle size of the raw material should not be larger than a certain size. Raw materials have a small particle size are easy to briquette, and raw materials having a large particle size are difficult. The relevant scholars found that in the briquetting test of different particle size materials, with the same pressure and experiment under the condition, the smaller the particle diameter of the raw material, the larger the elongation or the deformation rate, that is, the smaller the particle diameter, the easier the briquetting. This tendency is more pronounced under the conditions of a briquetting method requiring a smaller particle size of the raw material. The particle size of the raw materials also affects the efficiency of the briquetting machine and the quality of the briquette. If the material size is large, the briquetting machine will not work effectively, the energy consumption is large and the output is small. The particle size of the raw material is not uniform, especially when the difference in morphology is large, cracks will occur on the surface of the briquettes, the density and strength will be lowered. However, for some briquetting methods, such as stamping, the raw material is required to have a larger size or a longer fiber, and the raw material has a small particle size and is liable to fall off. 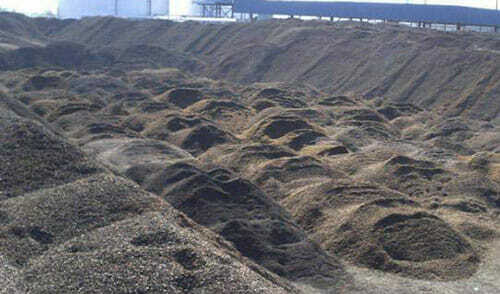 Briquetting pressure is the most basic condition for briquetting of biomass. Only when sufficient pressure is applied can the raw material be briquetted. When the pressure is small, the density increases with the increase of pressure. When the pressure increases to a certain value, the increase of the density of the briquette becomes slow. Experiments have shown that the pressure applied during briquetting is mostly linear with the density of the fuel after briquetting. If the pressure is too small, the density of the briquette will be small or even the briquette cannot be formed, but when the pressure reaches a certain value, the density will not increase significantly. Temperature is also an important factor affecting briquetting. By heating, the lignin contained in the raw material can be softened to function as a binder. And the raw material itself can be softened and easily briquetted. Temperature not only affects the briquetting of raw materials, but also affects the working efficiency of the briquetting machine. If the temperature is too low, not only the raw materials cannot be briquetted, but also the power consumption increases; if the temperature is too high, the power consumption of the motor decreases, but the briquetting pressure becomes small, and the particles are not squeezed. The density becomes small and it is easy to break. Moreover, the surface of the briquette will be overheated, easy to burn, and with large smoke.